I agree! I've only gotten it as a gift with purchase and Sephora gave them as the birthday gift last year, so I've never had to buy it myself. It's good, but not THAT good! There is a gift set coming out this holiday season that's a great deal if you're interested in buying more! You know, I love the concept of your empty product posts. I have a few empty bottles right now myself -- must get new moisturizer and serum! Omg, lady. I adore these posts. Andrew probably doesn't though because I'm about to go drop a billion bucks at the drug store now! OKAY. I need to get a Beauty Blender. AHH. I use a brush to apply foundation, and then different ones to apply the other stuff, but I've heard SUCH good things about that product! YES you do! It will seriously change your makeup game. It's amazing! Gosh my comment didn't post! Darn! Anywayy can you give me tips on getting everything to be empty at once! I'm at the store all the time buying products I ran out of just because they never go out at the same time! Last thing I bought was moisturizer! So fun to see all of your favorites! Maybelline The Falsies is also my go-to mascara. I am going to have to try the John Frieda Volumizer! 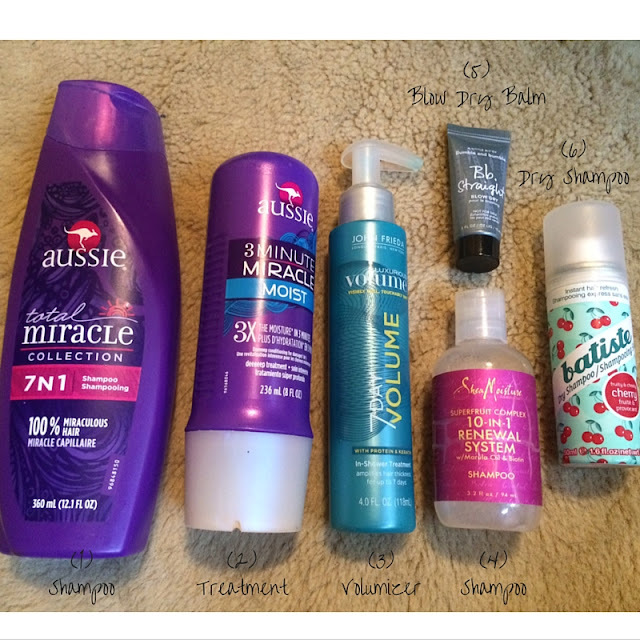 I use the volumizing hair spray from that line and like it a lot, so I guess I should branch out to other items! Nice!! That's so much stuff used up, and we have a lot of the same faves--Naked foundation (well, I use the concealer), dove dry spry, and Shea Moisture 10-in-1. :) I just finished a bottle of Lush's rose jam shower gel, and one of their new fresh face masks as well. I need to stop buying bath stuff and start using it up! I'm the worst about switching around and never finishing everything. Awesome!! I have to try the concealer as well...I never use Lush products because they're so expensive..but they're SO great! i LOVE the batiste dry shampoo. i recently found the brunette one and it is so much better than the original one (for me). i love it so much. i have been meaning to try the falsies mascara for ages! I love the brunette one as well! Definitely my favorite, and I love the scent. I'm OBSESSED with the Sephora airbrush foundation. 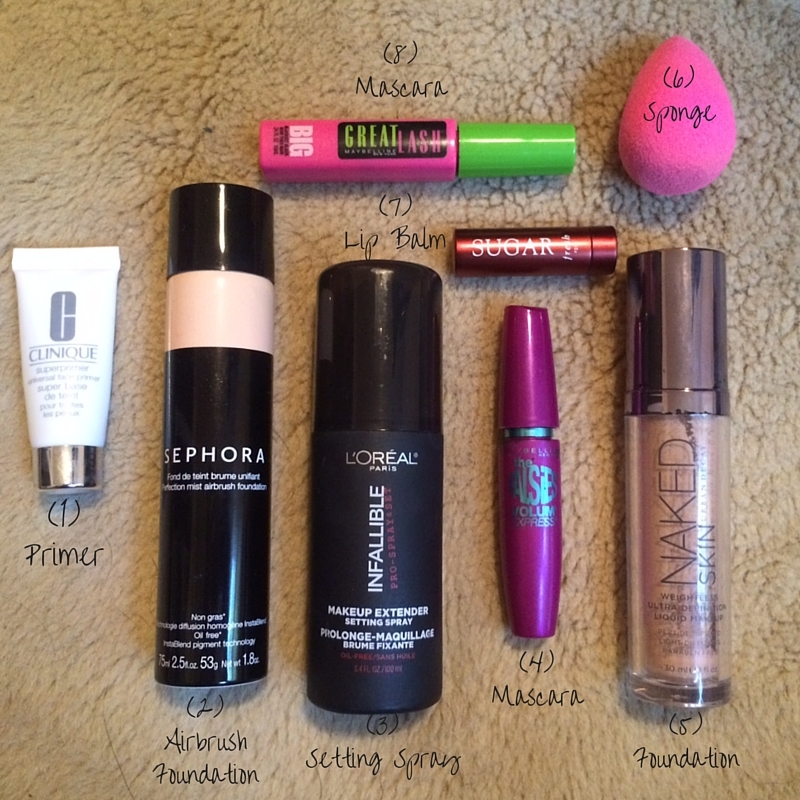 I put mine on with the beauty blender first, and then just spray it over certain areas that still need a little extra. It's so light but the coverage is fantastic! Isn't it amazing?! It lasted me a super long time as well! I thought the foundation lasted a really long time! I was actually surprised because it didn't feel like a lot of product was in it. The only bad thing is you can't really tell how much product is left since it's in a can and I couldn't judge how much liquid was left. I clean my beauty blender after every use (I just use Dr Bronner's magic soap and it's really quick and easy). 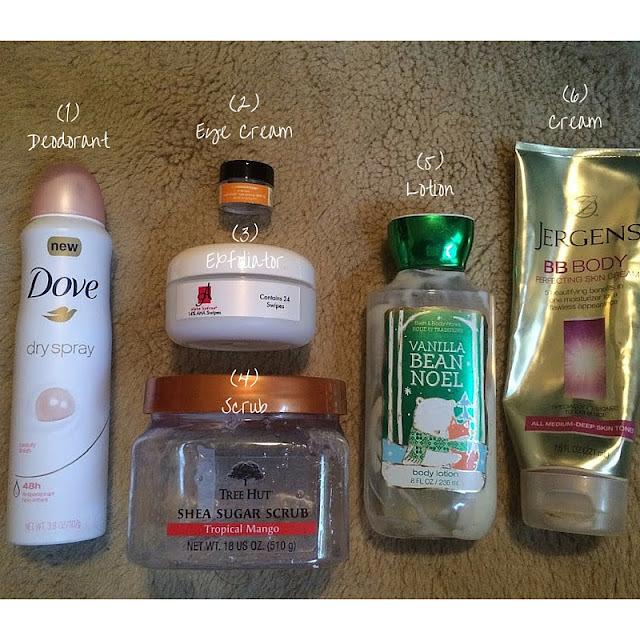 I don't like the idea of having product sitting on it and causing breakouts, so I do it a lot!